Jumia Nigeria is like the eBay or Amazon of Africa, selling everything from fashion items, to food, office supplies, electronics, etc. Now I've been shopping on the site for over a year now and in the course of this, I've been able to understand what to buy and what not to buy. 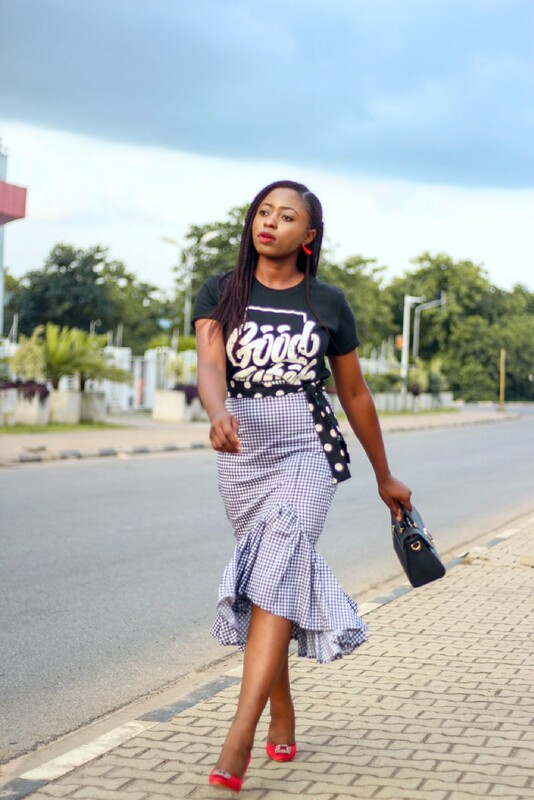 Today's post in collaboration with Jumia Nigeria, I will be sharing all you need to know about shopping on Jumia, both the good and the bad. Hey beautiful people, let's jump right in. Jumia Nigeria is a hub for multiple stores and brands. On shipping, for every item you order you pay a different shipping cost for it unless it is from the same store. However, the shipping costs can be as cheap as N500 (from major cities like Lagos-Abuja, you may pay more for shipping to other States nationwide). Each item ordered arrives at different times (I once got five items on the same day at different times from different delivery guys too!). Keep in mind is that items purchased from Jumia Global could take about two to three weeks to get to you as opposed to items from Jumia express which can even be delivered to you on the next day. Also, given a large number of stores, the overall quality of items varies from good to bad. Finally, Jumia offers free returns and refunds within seven days of reception. 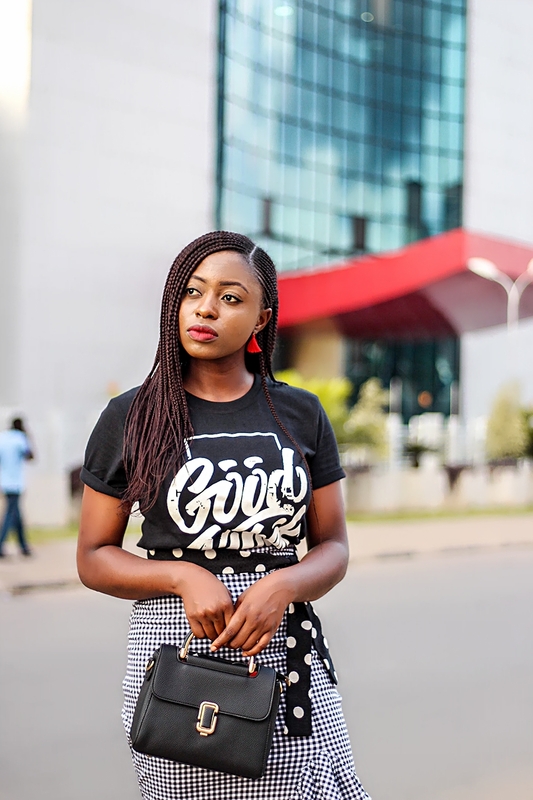 Ever since the emergence of Jumia Global, a lot of items on the site seem to come from China which means one has to spend extra time digging through pieces to find the best quality. 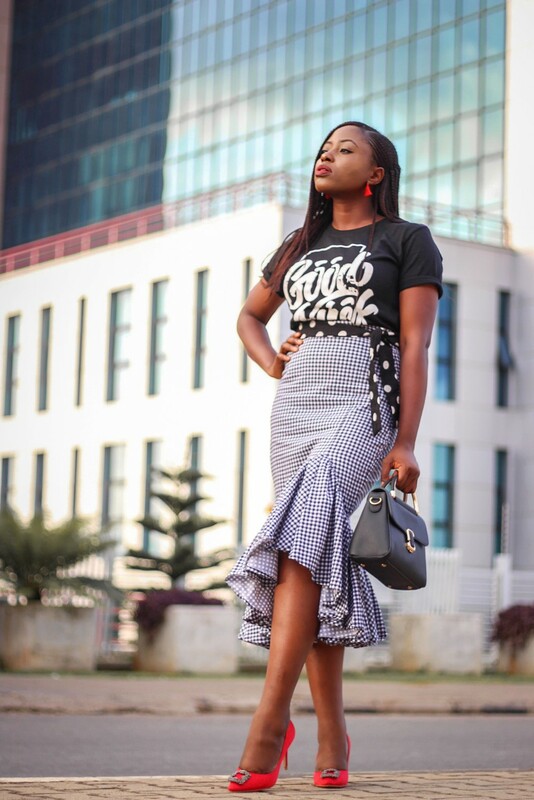 I advise that you predominately stick to fashion items like bags, jewelry, shoes and basics like graphic T-shirts. Make sure to also read reviews, item descriptions and rating and leave your own as well. Virtue Clothier is the brands behind my favorite mustard puff sleeves top (here) and this little black dress (here) and several other pieces featured on the blog (see here). Most of their pieces retail for as low as N2,500 -7,000. The quality of clothing varies and to be honest, I've had really good buys with them and just okay ones. At the end of the day, when paying N2,000 for a top, one can't expect premium quality. Style Station is quite affordable and seems to have very trendy and stylish designs. 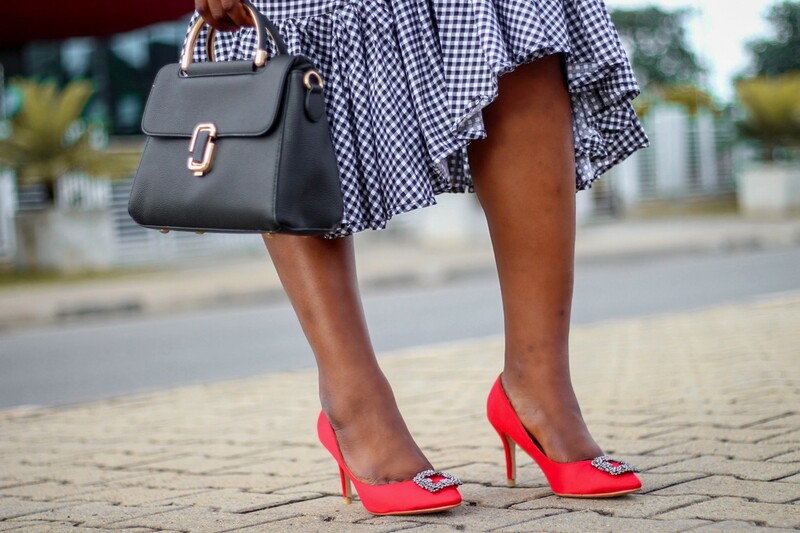 The brand is responsible for this stunning gingham skirt featured in this post. 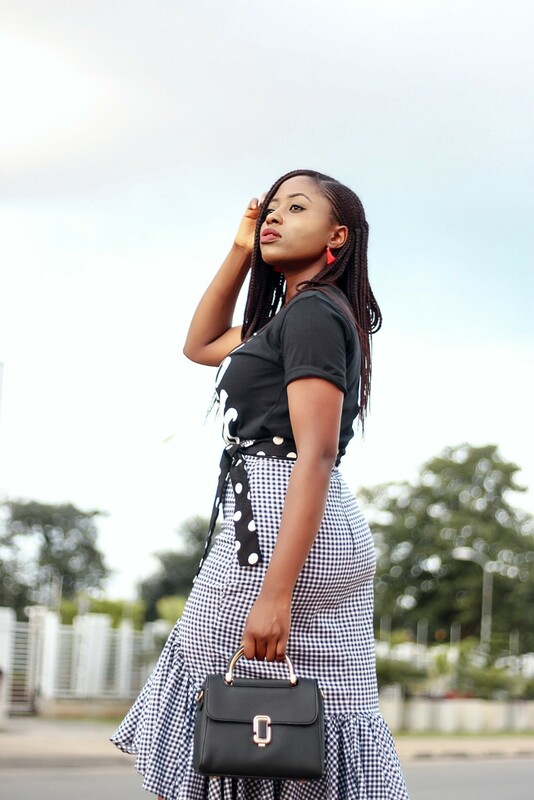 The skirt cost about N5,000 and the price keeps increasing and falling from N4,000 to N7,000. The quality could honestly be better but for the price, it's pretty okay and the design makes up for it. This is definitely a skirt I will be re-wearing and restyling. Note that items by this brand sell out quite fast but are also restocked quickly too. My only concern is that the items are mostly stock photos and not styled on models so one can't see the fit and length of the clothes but oh well. 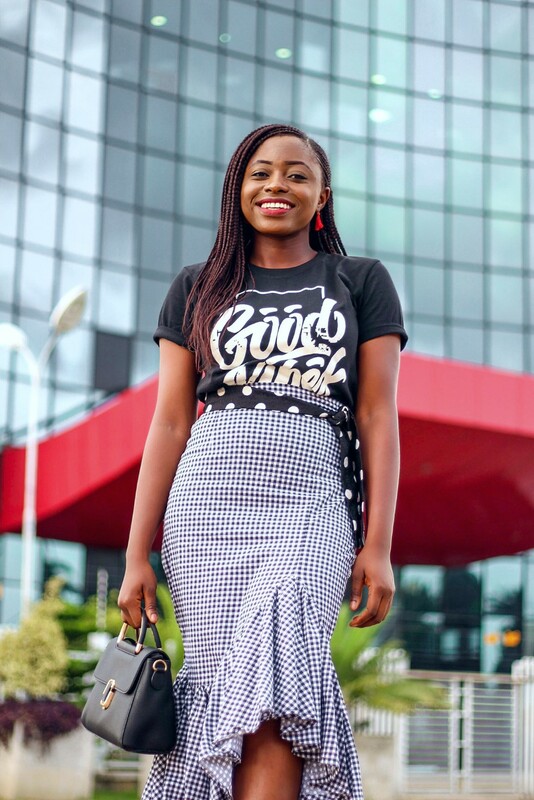 Chrysolite Designs Stocks stunning graphic T-shirts with a focus on preaching the gospel as well as positivity. They are the creators of the good vibes T-shirt featured in this post. Based on the price, I was honestly satisfied with the quality of the shirt and for N1,700 that's a pretty good deal. Crux is a menswear brand that I recently discovered. They make the coolest colorful patterned shirts that I've ever seen. I'm yet to shop from them but so far the designs have won me over. Now if you've never shopped from the men's section, it's high time you do, starting from Crux. Generally, Jumia stores use a UK size guide. However, overall sizes may vary from store to store. The brand 21 Attire is one to be wary off, I've shopped items from them thrice and have been grossly disappointed given the poor reality and quality of items in comparison to the pictures displayed online. They are the brand behind this dress I had complained about. Please read reviews before purchasing 21 Attire items or better still spend more money, perhaps the quality of more expensive pieces may be better. While I can't vouch for the quality of electronics on Jumia, I actually purchased my Canon 50 mm lens and this tripod from Jumia Global and have had no issues so far. Several stores offer free shipping on some items! In my last order, I got about twelve items and my total shipping cost was less than 2,000 Naira. Jumia also offers daily vouchers to get you coins off your purchases. 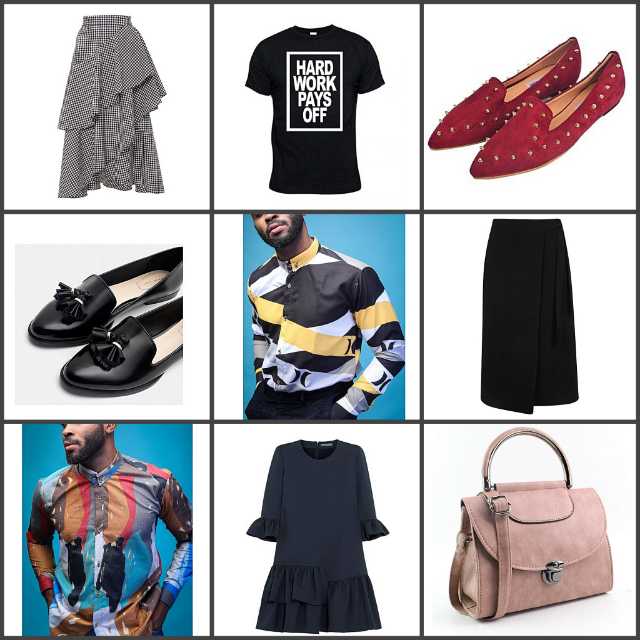 You can use my voucher code FBWXAUDU to actually get N750 of each purchase you make and there is no limit to the basket size. It's available to the first 100 of you and restricted to only fashion and beauty items. 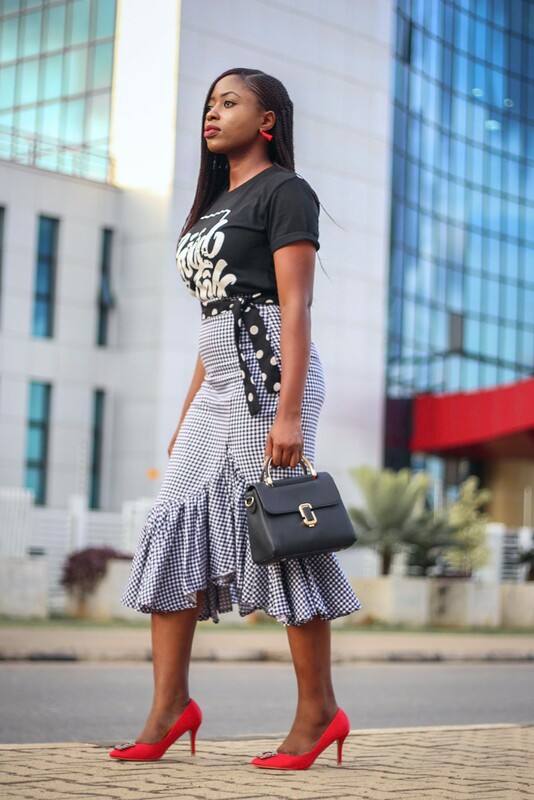 About today's look, I have had a similar gingham skirt saved on my phone for the longest time so when Jumia approached me for a collaboration, I jumped on the opportunity to get this one. I simply paired it with a basic graphic T-shirt and these Manolo Blahnik-inspired pumps, sadly they are currently sold out but I've linked some similar ones for you. For a friendly daytime look, I'd style this look differently with sneakers or slides. Meanwhile, stay tuned for a lookbook featuring this skirt. I'd advise you get it now using my code before it sells out. Do follow me on my social media handles as I will be sharing a little more of my other purchases. 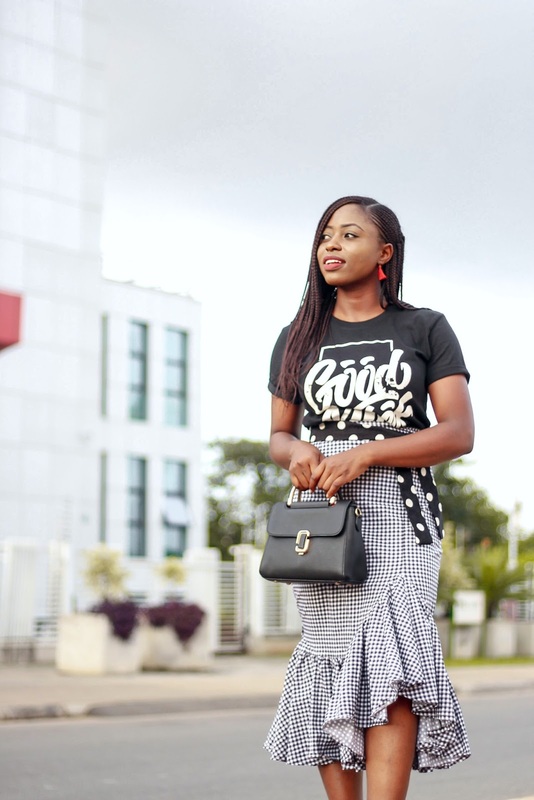 Have you ever shopped on Jumia Nigeria? What was your experience like? What tips would you give? Do you have any favorite stores? What's your favorite E-commerce site in Nigeria? Love the look! That skirt is so cuteeee! I have gotten two phones from Jumia. I love their delivery service. I'm quite skeptical about shopping for wears online, but there would always be a first time. I’ve shopped on Jumia before for brogues and clothes. The clothes were fair enough but the brougues from Global Jumia wasn’t what I expected. But then, for the prices I got them, I shouldn’t have expected more. I’ve gotten bags as wel and it lasted for so long. I can’t remem the brand name again but that was a good buy. I’m so in love with this look, so decent and stylish. That's the thing with Jumia global unfortunately. It's akways a trial or error but for the most part there are a lot of good ones especially with accesories. Thanks so much Debs.